All around the world, NFL fans are debating whether the Patriots intentionally underinflated footballs in hopes of gaining a competitive edge. In about as many places on planet earth, former and current Major League Baseball pitchers are chuckling to themselves as they think about how they’ve defaced the ball to gain an advantage over the years — some of them en route to Hall of Fame careers. Anyhow, as the NFL circus surrounding Deflategate continues, we take a look back at the most brazen, the craftiest, the best and worst cheaters in the history of Major League pitchers. Here are seven tricksters who make modern ball doctoring seem like child’s play. They are ranked in no particular order. “What did they find in [Niekro’s] pocket?” announcers asked. Well, that was an emery board the Twins right-hander casually tossed to the side while being stripsearched on the mound. They also retrieved some sandpaper. Unfortunately for Niekro, an umpire caught one of the flying objects on the way out of his pocket and ejected him. 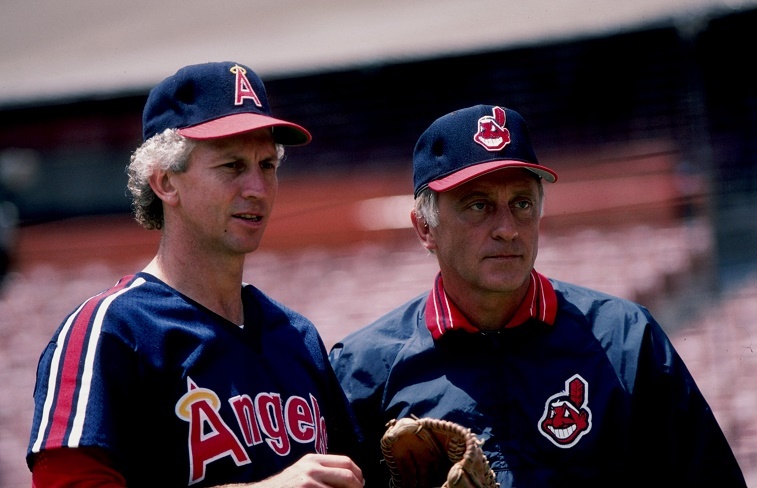 Major League Baseball suspended him 10 games for the incident, but it was nearing the end of Niekro’s 22-year career in which he won 221 games for seven different teams. It’s hard to say which is funnier — the look of persecution on Niekro’s face during the search or the argument after he’s caught. Either way, there is clearly no shame involved. Umpire Dave Phillips’s comments after the game reveal how prevalent trickery was at the time (1987). “[T]ampering with baseballs has become so blatant, so abusive,” Phillips told The Chicago Tribune after the incident. “You’ll be watching a guy pitching in a normal way, and all of a sudden his fastball moves in — how should we say? — an extraordinary way.” For his part, Niekro got a real kick out the affair and appeared on “Late Night With David Letterman” a few days later operating a power sander. No, he did not apologize and go directly to rehab. When Joe Niekro was busted for his paraphernalia in 1987, it marked the first time a pitcher had been suspended since the great Gaylord Perry in 1982 (more on His Eminence later). Then Kevin Gross of the Phillies was nabbed just a week following the Niekro incident. In this case, Gross had pasted a piece of sandpaper to his glove for the game against the Cubs and was casually scuffing pitches when he deemed the situation worthy. According to a contemporary report in the L.A. Times, Cubs manager Gene Michael suspected Gross was doctoring the ball on numerous occasions during the season and had waited for the appropriate moment to demand the umpires check him. It came when Andre Dawson stepped to the plate. “I thought he’d have one scuffed for Andre,” Michael said. 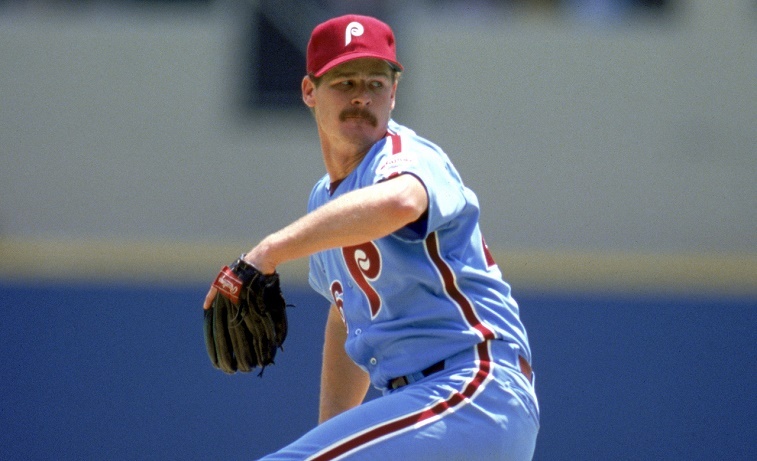 Gross had been struggling in the 1987 season, which proved to be his worst to date in what became a 15-year MLB career. He was suspended 10 games and had his glove confiscated. Gross’s final season was 1997, when he finished with a 142-158 record (4.11 ERA). Examples like this one are useful to remind baseball fans it’s not always Barry Bonds doing the cheating. What about the average struggling pitcher looking for a lift? What about the ones who were never caught? Also: What exactly is a level playing field in baseball? “The Chairman of the Board” bore a nickname previously reserved for Sinatra and led the Mantle-era Yankees to nine World Series titles, amassing a winning percentage of .690 (236-106), best of any 20th century pitcher. Ford was also a master trickster both on and off the mound. Stories from Jim Bouton’s Ball Four broach the subject from many angles, including Ford’s advice to Bouton to “get a tan” before leaving Florida if he wanted to convince management he was in shape after Spring Training. 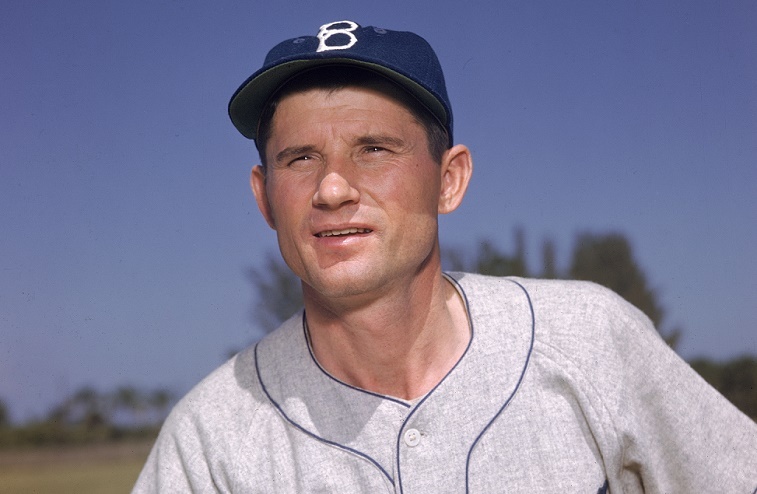 Bouton also told of Whitey’s elaborate scuffing procedures, which involved battery mate Elston Howard scraping the ball on the ground before throwing it back to the mound. In a book titled, “Slick,” Ford told of even more schemes he would use to trick hitters, including the formulation of “mud balls” and having a ring custom-made especially for doctoring the baseball. Ironically, the book was released in the summer of 1987, just before Gross and Niekro were busted for their respective schemes. In an article in the New York Times upon his book’s publication, Ford defended doctoring the baseball because of the high salaries pitchers stood to earn, which were about 10 times that of Ford’s in his day. 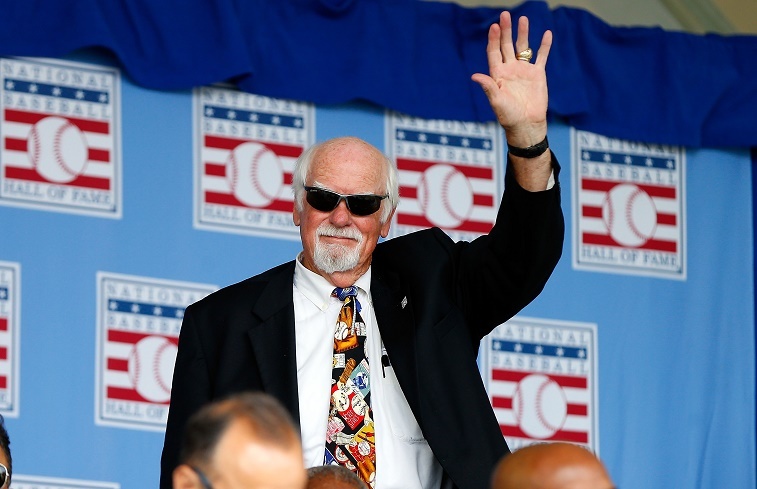 If there were one towering figure in the game’s past — a Babe Ruth of MLB cheaters — it would have to be Gaylord Perry, a pitcher who posted 314 wins and ended his ride in the MLB Hall of Fame. Perry’s Me and the Spitter may still be the definitive work in the confessional trickster genre, and there is little reason to believe any stories are false. “I reckon I tried everything on the old apple but salt and pepper and chocolate sauce topping,” he said. Vaseline was Perry’s preferred lube, but he was by no means limited to this substance. Manager Gene Mauch once said Perry should have a tube of KY Jelly attached to his plaque in Cooperstown. Baseball Almanac quotes a few treasures from Perry’s life with the spitball that sum things up nicely. Perry was only caught and suspended once for doctoring the ball in his 22-year career. It was his second-to-last season in the Majors, and the punishment lasted 10 games. With everyone aware Perry could throw the spitball at any moment, he wielded the threat as successfully as the pitch, and made sure to run his finger across his brow before every pitch. Was it coming? Hitters never knew..
Gaylord Perry was in many ways the spiritual heir to Preacher Roe, the Brooklyn Dodgers star who led the “Bums” to three pennants, including a 22-3 campaign in 1951. Roe became known as both a master spitballer and a master of deception, deploying the fake spitball to great success the way Perry did later. He also matched Perry in pure brashness, publishing an article in Sports Illustrated titled “The Outlawed Spitball Was My Money Pitch” just one year after his retirement. The New York Times detailed Roe’s stance on the spitter in its 2008 obituary on the late pitcher. 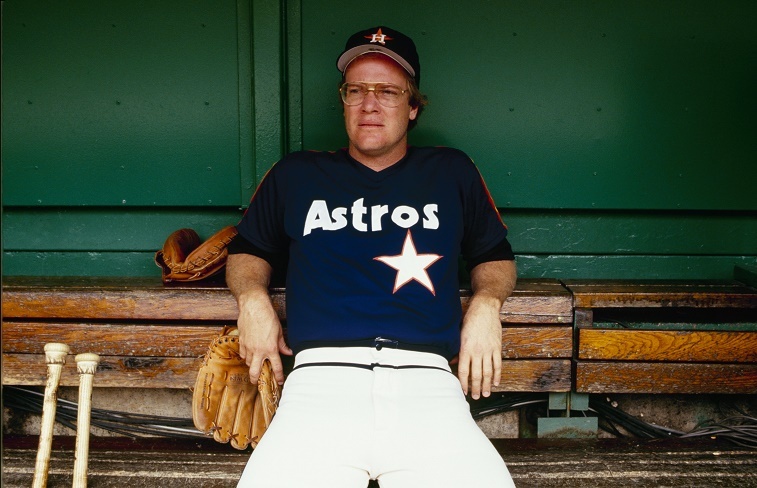 “It never bothered me none throwing a spitter,” Roe said. “If no one is going to help the pitcher in this game, he’s got to help himself.” Roger Kahn’s Boys of Summer also detailed Roe’s techniques of throwing the fake spitter. Upon further investigation, umpire suspicions of trickery in the 1980s appeared firmly grounded in reality. Case in point was the 1986 postseason that ended in the memorable World Series between the Mets and Red Sox. In that year’s NLCS, allegations surfaced that the Astros’ Mike Scott was scuffing the baseball against New York, but the Mets’ Keith Hernandez said the suspicions were there the entire year. “We knew this during the season because when you’re [the] home team, every foul ball that goes up to the screen and gets rolled back down, the bat boy collects it,” Hernandez explained to MLB Network. “It doesn’t go to the visitor’s side, it goes to the home team’s side, so we knew.” (As an aside, the allegations were coming from a Mets team that openly admitted using cocaine and various other drugs.) Scott didn’t exactly deny it. “They can believe whatever they want to believe,” Scott later said. “Every ball that hits the ground has something on it … I’ve thrown balls that were scuffed but I haven’t scuffed every ball that I’ve thrown.” It probably was no coincidence that umpires cracked down on pitchers the following season. In the cheating pitchers’ hall of fame, Don Sutton deserves a place near Gaylord Perry for his enduring success (23 years) and sparkling win total (326, 14th all time). Though accused of doctoring baseballs throughout his career, Sutton was only caught with a scuffed model once, in 1978. The league handed him a 10-game suspension but, after threats of lawsuits, curiously dropped the ban. Accusations continued for years, so much so that Sutton began playing games with both hitters and umpires who thought they could catch him. It never happened. In 1982, Sutton told the Washington Post’s Thomas Boswell just how much fun he was having with the routine. 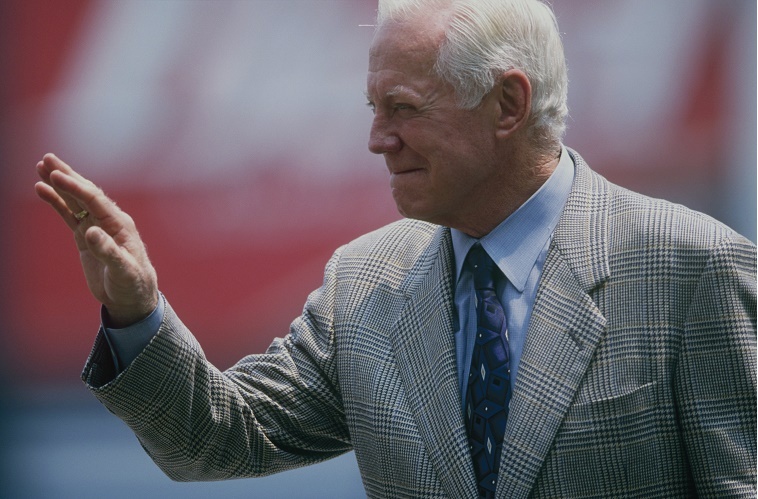 “I ought to get a Black & Decker commercial out of it,” Sutton said.”The only fun I get now is hiding dirty notes in my uniform pockets for the umpires to find when they search me.” After that quip, everyone began calling him “Black & Decker.”Suton was inducted into the Hall of Fame in 1998, but still refused to (fully) admit to anything from his playing days. He came close in an interview with MLB.com that year. Sutton: No, I never got caught cheating. Sports Cheat Sheet is covering MLB’s biggest cheaters at the plate, on the bases, and in the dugout (i.e., managers and coaches) in our series on the game’s illustrious history of trickery. Stay tuned.